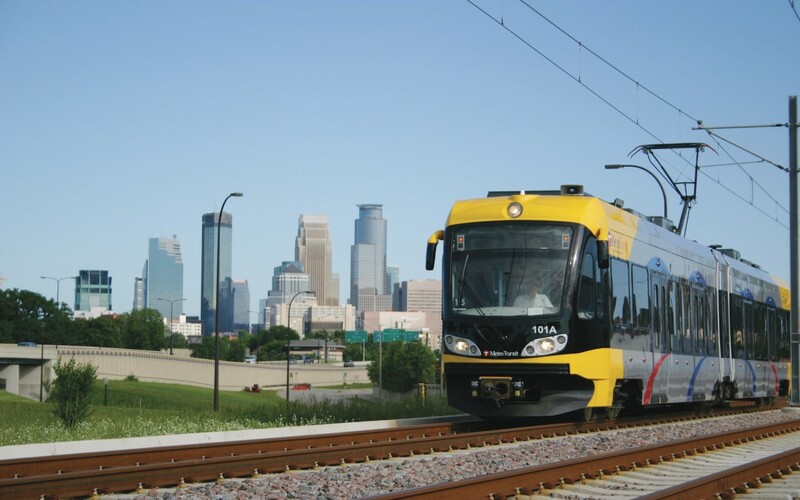 Minneapolis Metro Transit Light Rail | Triunity Engineering & Management, Inc. The Minneapolis Metro Transit light rail project is an expansion adding 11 miles of light rail and 21 new stations to serve the Minneapolis metropolitan area. Triunity was responsible for leading the field communications design by working within the project team to implement peripheral devices and communications to the devices for the purpose of providing train control, status, and location information to Metro Transit operations as well as ensuring safe and efficient travel for Metro customers. This required the installation of the Supervisory Control and Data Acquisition (SCADA) system. The communication systems include low voltage copper cabling, fiber optic cabling, Closed Circuit Television (CCTV) systems, access control, intrusion detection systems, fire safety system interfaces, local and wide area networking, public address, Virtual Memory System (VMS), SCADA and emergency telephones.